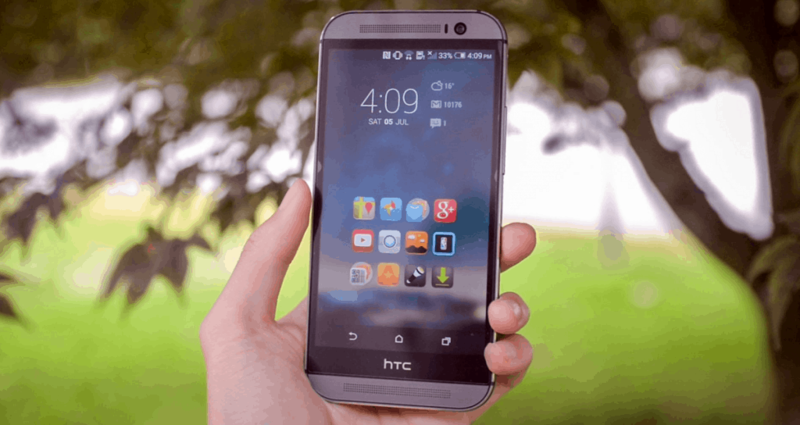 Love the freedom of the Android OS way too much to trade it in for the coolness of an iPhone? Get the best of iOS on Android with the help of these great apps to revamp your Android experience and get the look and feel. It has been almost a decade since Google debuted Android OS into the tech world and since Steve Jobs unveiled the first ever iPhone. The two mobile operating systems have clashed ever since, with fanboys from both camps waging war over which one is better. While we at Updato are firmly on the side of team Android, there’s no denying that iPhone has changed things. If you’ve ever used an iPhone or any Apple product for that matter, you already know how restrictive the iOS environment can be. It is an undisputed fact that tech-savvy users are generally inclined towards Android for the freedom it offers, but there’s more to iPhone than just brand power and hype. The iPhone may have been playing catch-up with Android by being at least a couple of years behind on most features, but there are areas where Apple has bested Android. Whether it’s the ability of Apple to maintain a closed environment or some truly unique features that are baked into the OS, here’s what puts Apple over Android is some ways. With Android devices like the OnePlus 5 sporting a massive 8GB RAM capacity and Qualcomm Snapdragon processors breaking the benchmark scores each time, you’d think Android had this one right under the belt. 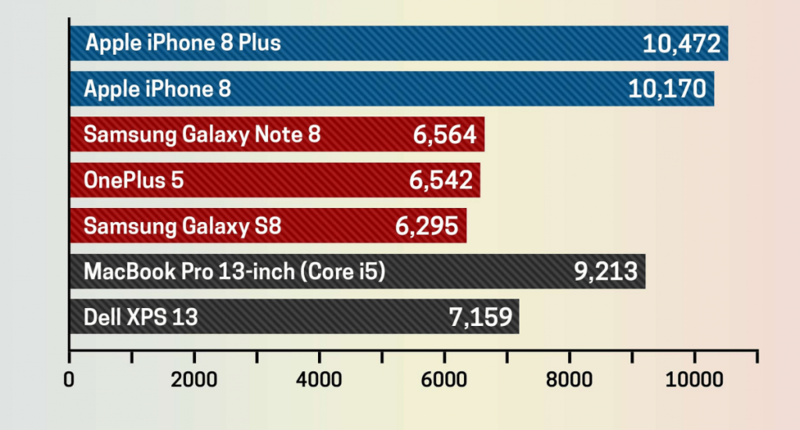 However, performance tests of all sorts show that iPhone is miles ahead of the competition by a comfortable margin. The CPU A11 processor chip from Apple in the iPhone 8 and iPhone 8 Plus is far superior compared to that of Qualcomm. The synthetic benchmarks created by Geekbench 4 and 3DMark show that Apple’s flagship, the iPhone 8 Plus scores a whopping 10,472 points, beating even the beastly Samsung Galaxy Note 8, which scores a measly 6,564 points. 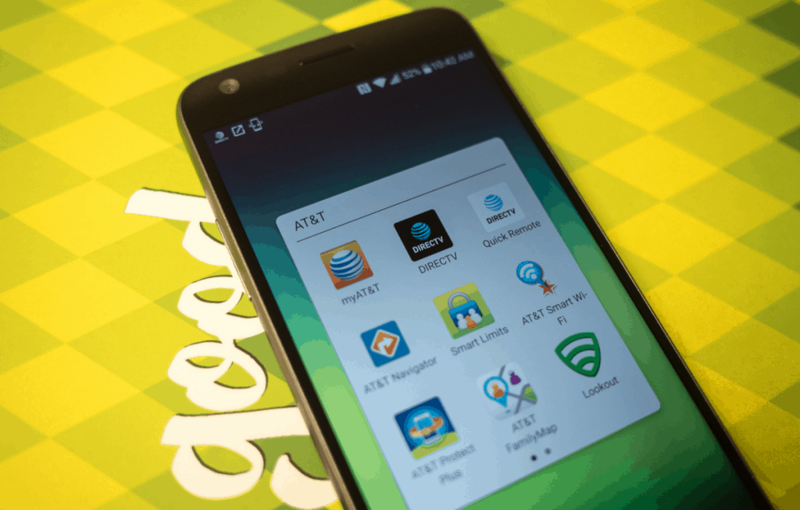 The fact that the first thing most Android users do with their phone removes bloatware, which doesn’t stop manufacturers and network carriers at all. However, you’ll never find an iPhone that comes with unnecessary apps from T-Mobile or third-party apps like Amazon Kindle pre-installed. The biggest problem with Android being an open-source operating system is that every manufacturer is building their own version of what Google rolls out. Unlike Android, Apple has a monopoly over what devices run iOS (aka iPhone), which gives them an unfair advantage at developing better hardware and software integration. Google has finally turned the tables by signing up a fat contract with HTC to build Pixel devices with meticulous detail. 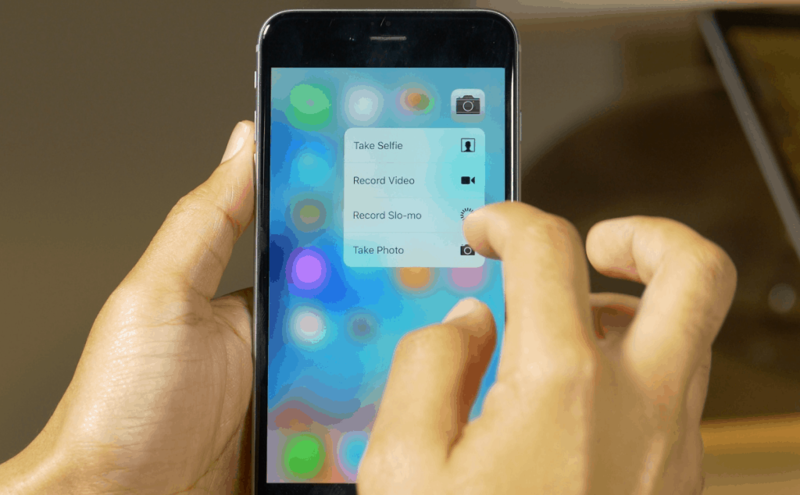 However, seamless hardware-software integration of the iOS when it comes to the camera with Portrait Mode, or the user interface with features like 3D Touch is way ahead of the competition. Sure, you can find a dozen alternatives for Apple’s prized services like iMessage and FaceTime on the Google Play Store, but do they really cut it? Whether you’re on your iPhone, iPod Touch, iPad or even your Mac computer, the trio of Facetime, iMessage and FaceTime Audio keeps you connected all the time. 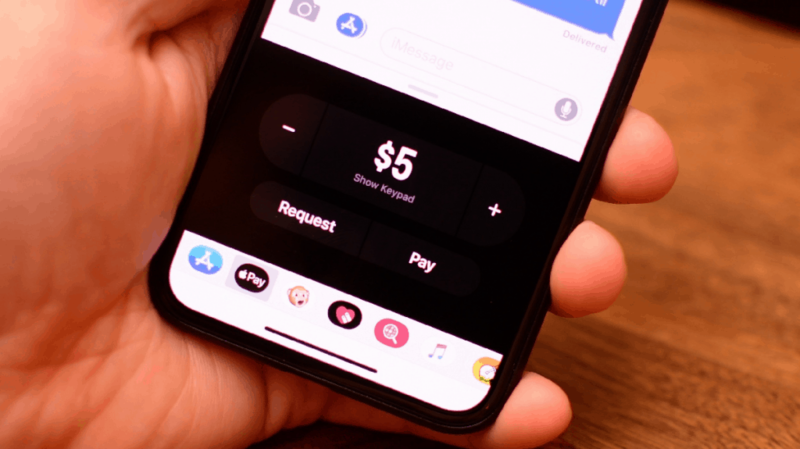 Apart from chatting and making free video and voice calls to other iOS users, Apple has also integrated its other services like Apple Pay into the mix. For instance, you can simply make use of Apple Pay to send and receive money from other iOS users through iMessage. While Android may have plenty of its own unique features and design choices that define it, nobody can blame you if you’re more inclined towards the look and feel of the iPhone. While Android OEMs such as Xiaomi have created their version of Android as a close clone of the iOS, there’s a whole lot you can do with the help of the Google Play Store. Whether you’re looking to make the cutting-edge Material Design slightly gentler or looking for those little features that make the iPhone so “Apple-esque”, here’s what you can do to get the best of iOS on Android right now. Apple rolled out a Samsung-first feature with the iPhone 7 and iPhone 7 Plus, aptly names as Raise to Wake. This nifty trick basically makes the iPhone screen turn on automatically every time you pick up the device, and the feature has existed on specific Android devices for years. Surprisingly enough, this feature is available on any Android phone with the smartWake app that you can download for free. 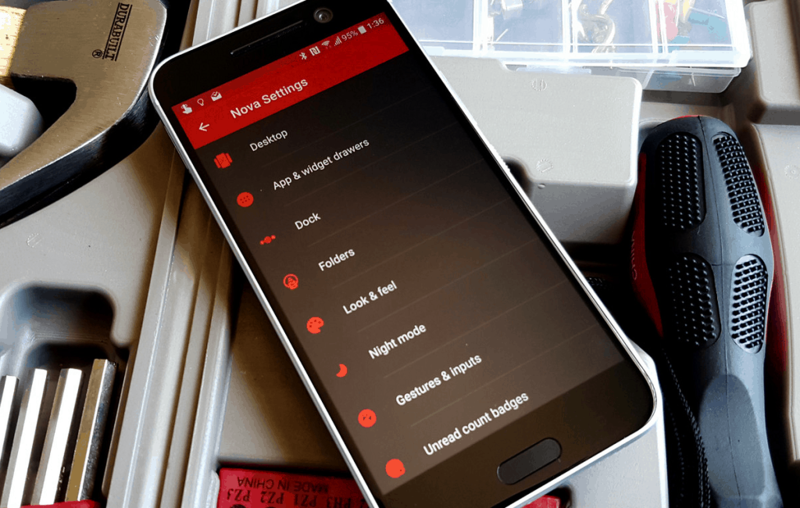 The app puts the sensors on your Android device to use to wake the smartphone every time it is picked up, along with other methods to wake the screen up. Download the smartWake app from the Google Play Store. You’ll be greeted with the menu screen that asks you to accept the terms and conditions of the app, so tap on Accept and head over to the main menu. The app comes with a bundle of features that you can scroll through, and the top of all that is the Raise to wake option, so press the toggle switch next to it. Using the Settings tab below the Raise to wake menu, you can increase the sensitivity of the feature and even unlock more features by getting the Pro version of the app. The best part is that app asks for none of the worrisome permissions that most of the others do, and gets you the cool feature from iOS on Android without costing a penny. 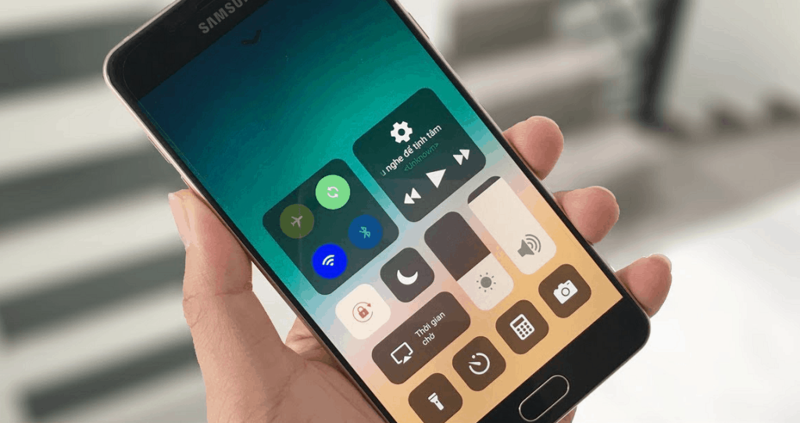 Just like Android has always had its iconic app drawer where the whole mess of apps is hidden away, Apple has had folders and one-screen iHome layout. While more and more Android devices are now ditching the app drawer as well, there’s a lot more to getting the iHome UI from iOS on Android than simply removing the app drawer. You can start off by downloading the popular Nova Launcher from the Google Play Store for free or buy Nova Launcher Prime for added bells and whistles. Once you’ve made Nova Launcher the default launcher, head over to the app to begin tweaking. From the Nova Launcher Settings, open the Desktop menu and then navigate to Desktop Grid. Using the pop-up window, expand the grid from 5 rows to 6 rows and hit the Done icon once you’re ready. Head back to the Settings of the Nova Launcher and open the Dock In the Dock menu, you’ll find Dock icons, so tap on it and change the default value from 4 to 5 and press Done. Now that you have changed the default layout of the screen, it’s time to get the Apple-style icons with rounded corners on your Android device. Thankfully, all you need to download is one of the dozens of great icons pack apps available, you can get the rounded icons of iOS on Android in less than a minute. While you can’t get the exact icons from iOS on Android device due to copyright restrictions, we found two apps that add a new dimension to rounded icons. Adastra – Icon Pack may not seem anything like the minimalist and clean iOS icons, but they sure have their own style. The icons are optimized for a crisp and sharp look even on the Android devices with a QHD+ display. Flui icon pack is a surprising hybrid between the classic rounded icons of iOS and the Material Design introduced with Android 5.0 Lollipop. Apart from the icons pack, you will also need the official iOS wallpapers from Apple to style things up. Fortunately, an app called Wallpapers for iPhone 8 is a great app to not only get the official wallpapers released by Apple for the iPhone, along with millions of other premium HD wallpapers for you to choose from. One of the elements of the iOS design that got bumped up with the iOS 11 update is the Control Center, and it sure looks awesome. 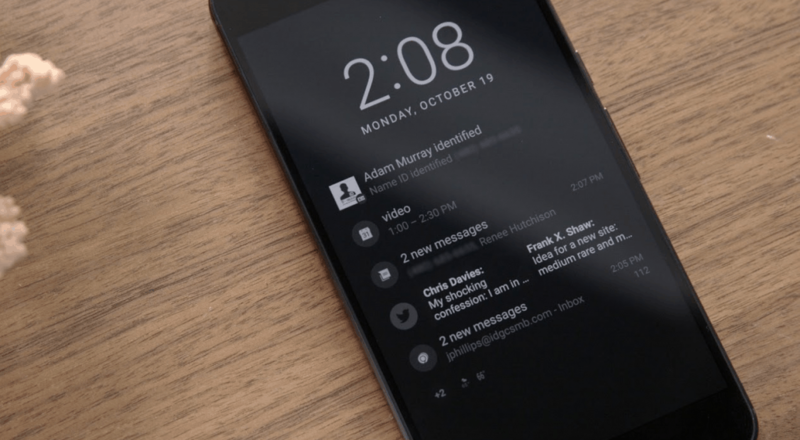 But if the iPhone can copy Android’s slide down notification menu, it only seems fair that you get the revered Control Center on your Android smartphone too. Start off by downloading the Control Center iOS 11 app from the Google Play Store. The app will be active by default and you can use the app settings to customize size or the color of the Control Center. While the default position of the Control Center window is at the bottom of the screen, you can customize to appear from the left or right side of the screen too. You can also use the Add favorite app to add up to 4 different apps installed on your device to the Control Center window. The Control Center is as fluid as the original one on the iPhone, and it comes with the default network toggles, music player shortcuts, volume and brightness slider, and a bunch of other shortcuts. Apple may give you the ability to enjoy a direct line of communication with other iOS users, but Google takes things a step further. In order to counter popular iOS services like FaceTime and FaceTime Audio, along with Apple’s very own iMessage, Google has created its very own set of communication apps. 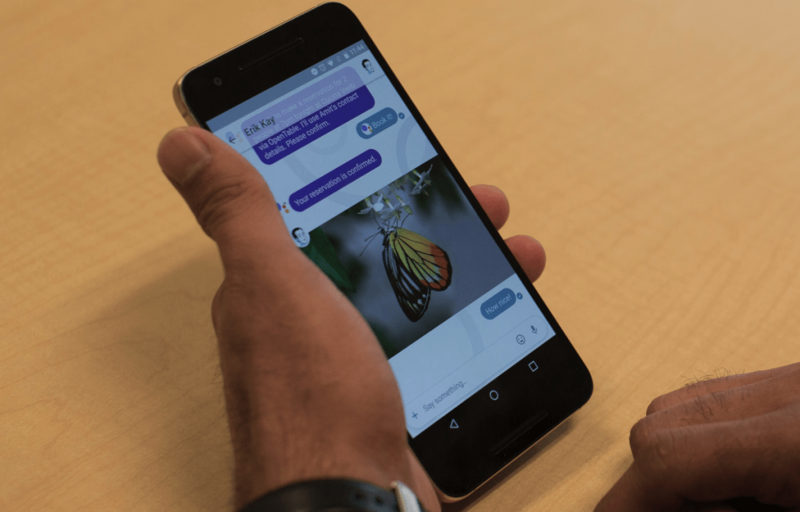 Google Allo can be downloaded for Android as well as iOS devices for free and offers almost all the features that iMessage does. Although Allo doesn’t have integration for Android Pay just yet, it comes with the Allo web client to keep you connected to the world even from your desktop. 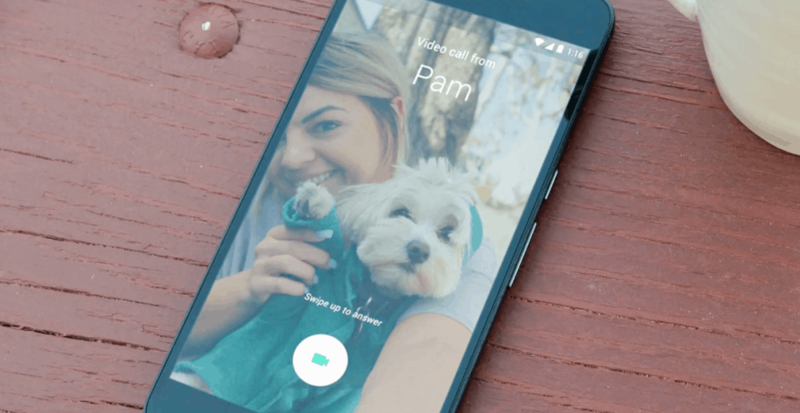 The ultimate competitor to FaceTime not just on Android but even on iOS, Google Duo offer high-quality video calling across cellular and Wi-Fi networks. Google Duo even brings the feature called Knock Knock, giving you a preview of the person calling you before you actually answer the call. Albeit FaceTime and iMessage are far better integrated into the iOS ecosystem than the Android alternatives, for the simple reason that Google isn’t shoving its apps down your throat. What features of the iPhone do you think Google needs to work on bringing to Android right away? Is there any great app that brings features from iOS on Android that we missed out on? Be sure to drop the name in the comments section below, or hit us up on the Updato Forum right away!